Have you been worried about how safe your workplace is? You are not alone. There are plenty of employees who ask this about their places of work, and there are, as a consequence, many ways to ensure people’s safety within the facilities of a company or institution. Many merchants and most businessmen spend millions in hard currency to fight crime in their business and implementing insurance policies. However, if a sound safety program is implemented but not maintained, there will be no return on this investment. For example, improved door locks are useless if a ladder is left outside against the walls of the building and it provides the thief easy access to a second-floor window and therefore the whole area. – Make sure all the doors and windows are adequately closed, and their mechanisms properly work. If you have any questions, call the locksmith, carpenter, or Security Company and tell them about your doubts. 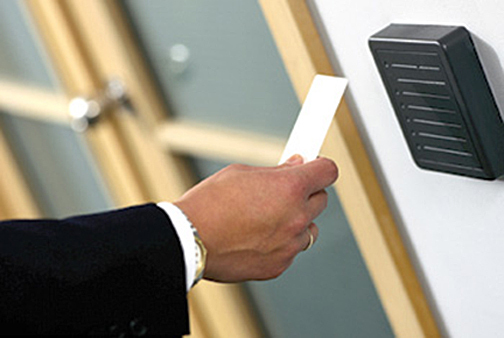 – Stay alert while you or your employees open and close the business door. Be alert for any suspicious person who might be walking and wondering nearby. – Create and save a list of the serial numbers of the equipment that belongs to the office. – Examine in detail the portfolio and CV of your future employees before hiring them. Check their personal references and make them use their ID cards on Staff lanyards at all times. – Try to keep very little cash in the office or counter. It is better to deposit the money in a safe or in a banking institution. – If you have an alarm system, regularly check if it is working. – Keep good control of the keys. Not knowing where the keys are set you and others in a vulnerable position. Change the codes of locks if there is any doubt. – Park the vehicles away from the building to prevent them from being used to climb the roof or to block the view of the doors and windows. – Provide your employees with a safe place to leave handbags and coats during work hours. Personal drawers in the offices are wrong places to deposit bags since they are a favorite for thieves. – Install an adequate lighting system. Thieves prefer the darkness or another way to hide and conceal. A well-lit office and building is less appealing for the criminal. – Keep trees and bushes properly gardened so that they do not block the view of the windows and doors. Make eye contact with your customers. A good way to do it is by greeting them when they enter the business; look at them in the eye, always ask if they need any help. Continue with this contact during the visit. Post signs that thieves will be prosecuted (as simple as “All Shoplifters will be Prosecuted “). Check the testers or fitting rooms. Adapt the store set to improve customer service and restrict thefts. Illuminate dark areas, alleys, and corners, try not to create shadows that could interfere with surveillance. According to some reports, crime, in general, is the result of many factors, these may include drug trafficking and organized crime; a poor judicial and law system that leaves room for impunity; and even the lack of opportunities for people living in disadvantaged communities. It is also noteworthy to mention that crime and violence rates are concentrated in specific areas of neighborhoods and cities. So, not all countries, cities or communities in a given region suffer from the same levels of violence. There is no magic formula to solve the problem of crime, and it should be emphasized that relying on the actions of the police is not enough. A combination of initiatives and strategies can play an important role in the prevention of violent acts and criminal behavior in the workplace.